Overview of Olean, NY. Inscribed “Painted from Old Photograph West State Street at the Foot of First National Bank” Oil on canvas. 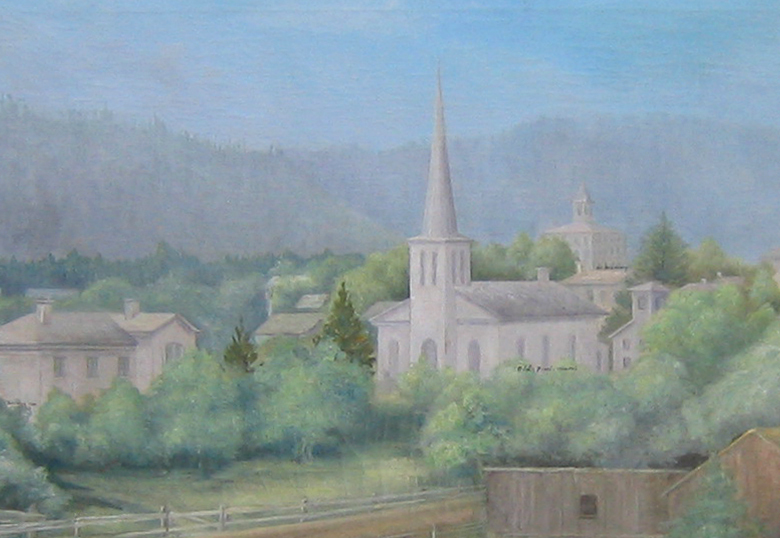 Buildings and roads are painted as they were in the 1860’s, and their names and the names of the streets are noted on the canvas. 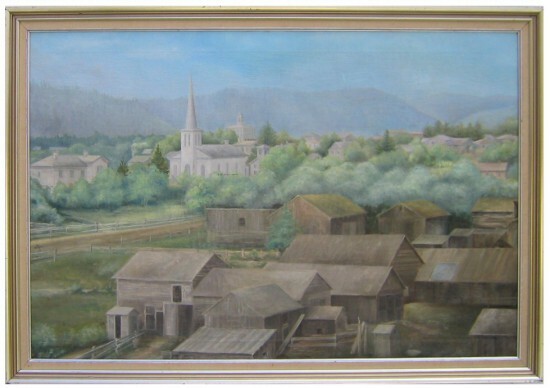 Wonderful painting and colors, plus historic value. 24 x 36 in.